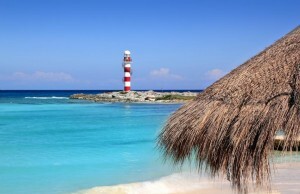 In the Mayan language, the word Cancun has two meanings. It can be translated as “nest of pot or snakes” or “home of gold snake”. The time between December and April is defined as the peak season in Cancun. At this time of the year, the rates of hotels and airfare rise dramatically, depending on the tourism traffic in the city. These prices may not stay consistent throughout the year, as they decline in the early autumn and during summer. From the indigo sea to the white sand beaches, best hotel services, restaurants, cuisines from all around the world and intimate Caribbean nights, this place has it all. Although, you may first think that these details about Cancun are too good to be true, but trust us, this is the real Cancun! In Cancun, it is on the individual to choose the pace of lifestyle they want to follow, unlike other cities where the majority determines the velocity on which the city is going to run. The place for many years has served as a tranquil retreat for the souls seeking contentment, along the serene shores of the Caribbean Sea. This resort offers option for everyone, whether you are a college student following a strict budget or a rich businessman who can afford the luxuries offered in this city. Taking a walk on the beach at sunrise refreshes the soul and it is twice as more rejuvenating as initiating your day by sipping a strong aromatic cup of coffee. It is the sound of the waves splashing which marks the beginning of a reviving morning followed by a positive day. People in Cancun often prefer to start their day with a wellness quest by going to the gym. There are many gyms in Cancun that are equipped with indoor pools, sauna, giant whirlpools and much more. The gyms are often known for providing the view of the ocean, which is an additional perk for the visitors and members. Just the serene and tranquil view of the ocean inspires the people to not just burn calories but also to eradicate stress. Having an active day would definitely stir your appetite. At this point, trying something new and enticing your taste buds with some complex and unique flavors would be the best option. Sasi Thai is the specialty of Cancun. This flavorful treat is prepared through the fusion of Thai and Japanese cuisine, which blends together to form an elegant platter. This dish achieves the perfect amalgam of taste and health. The sun never sets in Cancun. But Cancun is much more than beaches, bikini and tan. It is about adopting a lifestyle that you design for yourself by giving priority to your interests. It serves as an ideal resort for the people who seek peace from the hustle of a fast-paced city. If you want to burst the bubble of stress created by your job and family problems, Cancun is your escape. We can help you to make your medical vacation the best holiday experience for you. Email us on info@mymedicalvacations.com to know more or call +1 888-587-93 41. In the Mayan language, the word Cancun has two meanings. It can be translated as “nest of pot or snakes” or “home of gold snake”.